Today, were discussing something a little serious, Prostate cancer. If the stores around your area are like mine, you will never see that little blue ribbon. That’s a shame. September 3 and there’s already pink Breast Cancer Awareness ribbons and shirts set up in some stores, which is great. I discovered this last year when I was working at Dollar General and we started selling Breast Cancer Awareness pens at the counter at the start of September. I asked the manager on duty why we do not sell Prostate Awareness month merchandise. She did not know. Again this year, I see no Prostate Awareness Month merchandise. I understand breast cancer is huge, and according to Cancer.org 231,840 new cases of breast cancer occur every year, and that 40,290 women a year will pass away due to breast cancer, but we have to raise aware about prostate cancer(and all the other cancers for that matter). 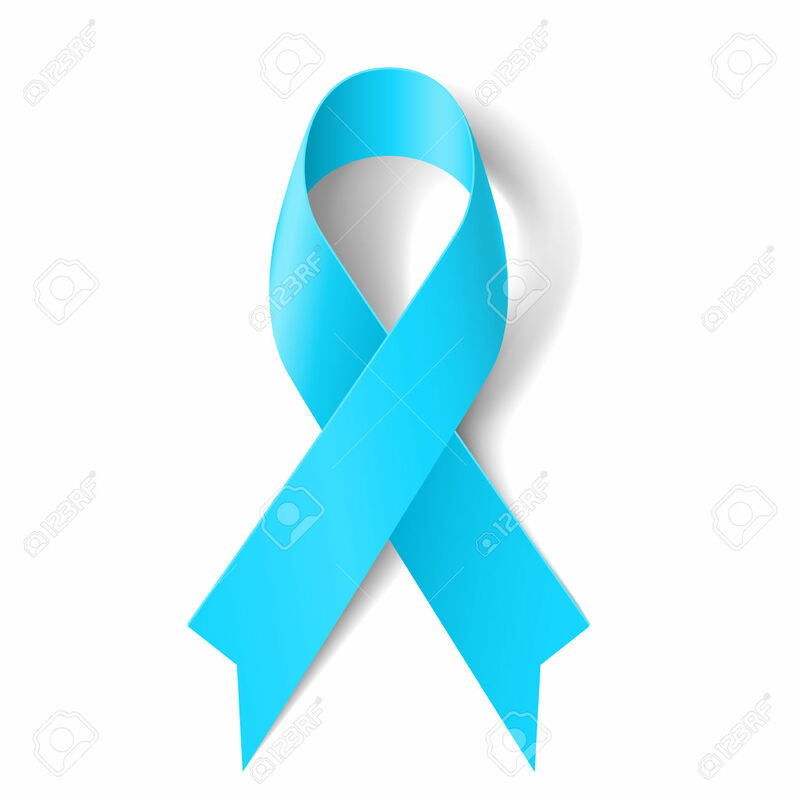 Prostate cancer is the most common form of cancer in men in the U.S. and the second leading cause of death for men in the U.S according to cancer.org. About 1 in every 7 men will be diagnosed with prostate cancer. The statics and the information are out there. Educate yourself about all the cancers and catch them while they’re early. My mom has tumors in several parts of her body and has to regularly go get them checked up on. Shes had them for 6 years and, thankfully, they are not cancerous. If you cannot donate to a cause, than spread the word. Write your own post, share this post, or make pins or bracelets, take an elder man in your family to get a check up, anything helps.